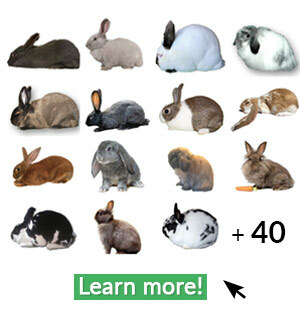 Have you ever wondered what the tiniest or the largest breed of rabbit is? Or perhaps have you thought of how many teeth rabbits actually have? And did you know why a rabbit thumps his feet? We’ll answer these questions and 20 more fun facts in this section. 1. The worlds largest, and most valuable rabbit is “Darius”, a Continental (aka German) Giant from the UK, weighing just above 50 pounds, 4feet and 3inches long, who is insured at a hefty 1.6Mil. 2. The largest known rabbit litter-size is 24 kits (babies) in a single litter. 3. Rabbits are born naked with their eyes closed. 4. Rabbits have 28 teeth, and they never stop growing. 5. Rabbits can jump over 4 feet high and run up to 30 miles per hour. 6. The worlds longest ears on a rabbit are found on an English Lop from California, USA. “Geronimo” is the proud recipient to be named in the Genius Book Of World Records –per Nov 1, 2003, for his award winning 31.25 inch long ears. 7. The technical term for a rabbit is a ‘Legamorph’. 8. Rabbits are most active at dawn and dusk. 9. 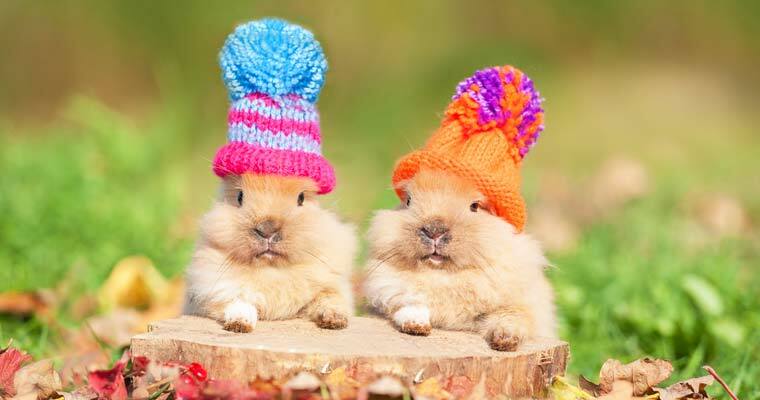 Rabbits live comfortably outside, and are more tolerant of cold than they are of heat. 10. 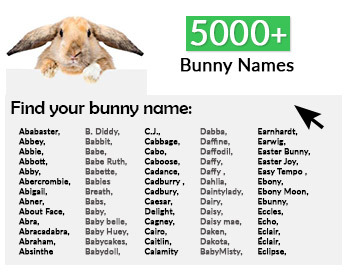 Males are called bucks, females are does, babies are kits, and a grouping of rabbits is called a herd. 11. Rabbits are very territorial. 12. Rabbits are capable of and do make vocal sounds. 13. Thumping is used as a warning signal that rabbits use as a display of danger or territorial claiming. 14. When rabbits grind their teeth, this is a very urgent way of indicating that they are in pain. 15. Rabbits have excellent hearing, smell, and vision. 16. Rabbits should not be bathed. 18. When a rabbit jumps while running around, the action is called a “bunny-binky”. 19. The first noted domestic rabbit was noted in the 5th Century, in France. 20. Rabbits can not vomit. 21. Does can and do have false-pregnancies. 22. Rabbits can actually die from fright. 23. Rabbits have no way to regulate their own body temperature. 24. The smallest rabbit breed in the world is the Columbian Basin Pygmy Rabbit, which weigh approximately 1 pound, and are on the average of 9 – 11 inches long. 25. Rabbits –contrary to popular belief – do NOT have to be sexually altered in order to be successfully trained. 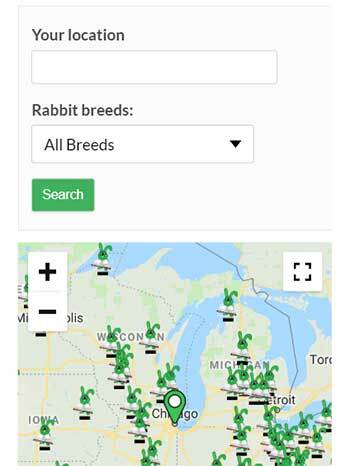 You might also like: Top 10 most Popular Rabbit Breeds, did you know all 10? How do I pose my rabbit for pictures?